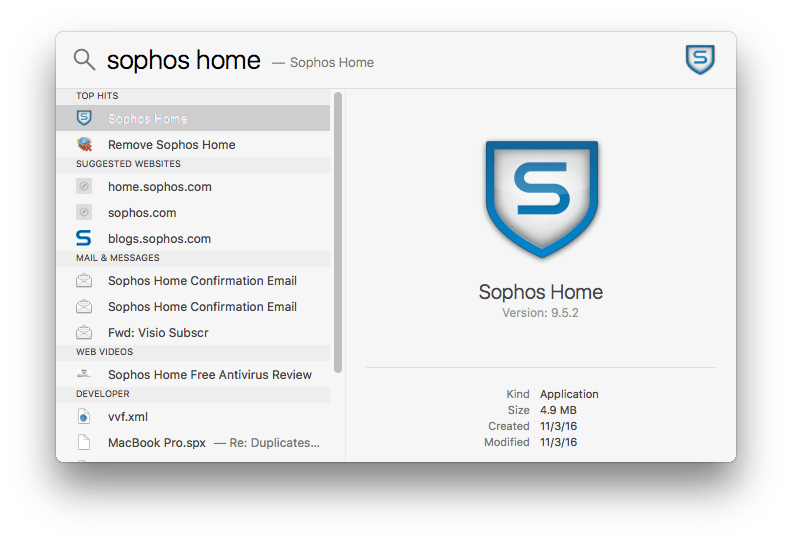 Mac users usually use Sophos Home to protect their system from hackers, as macOS is less likely to be damaged by a virus than other operating systems. However, you may want to remove Sophos to improve your Mac’s performance, as it uses a lot of RAM memory and CPU. How to uninstall Sophos antivirus on Mac. 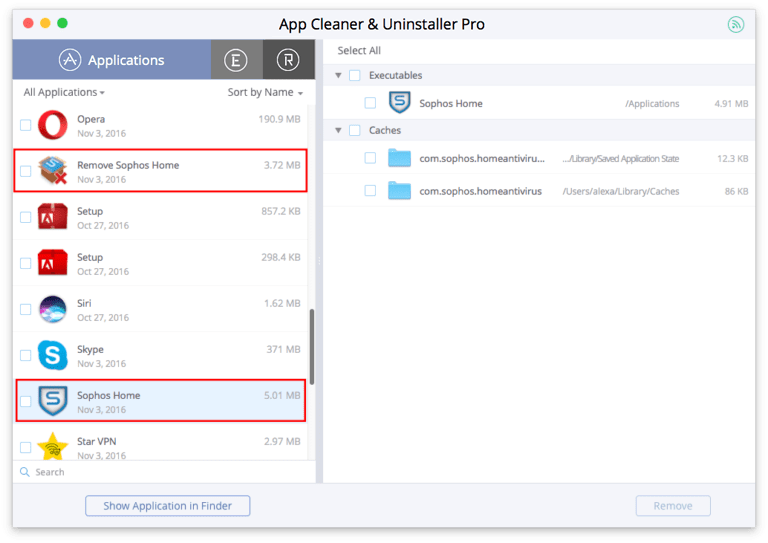 How to remove Sophos Home with App Cleaner. 1. 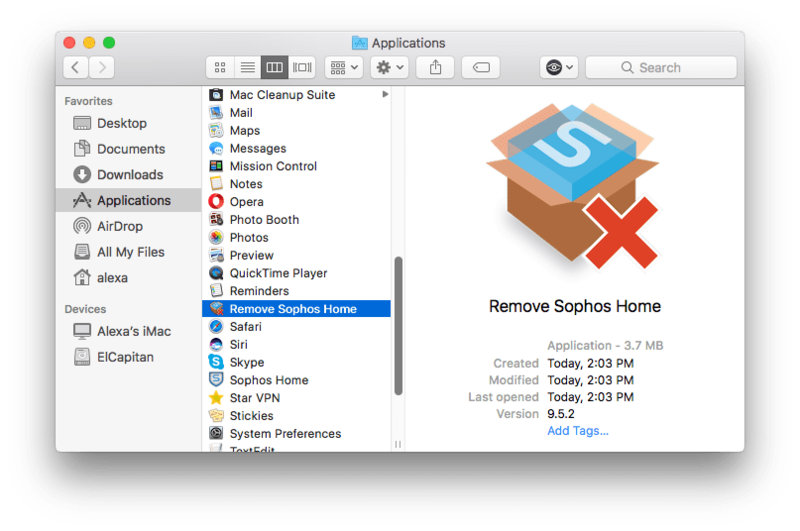 To delete Sophos from your Mac you need to find and run the Remove Sophos Home.app in /Applications/Folder. You can also find this file easily with Spotlight. 2. 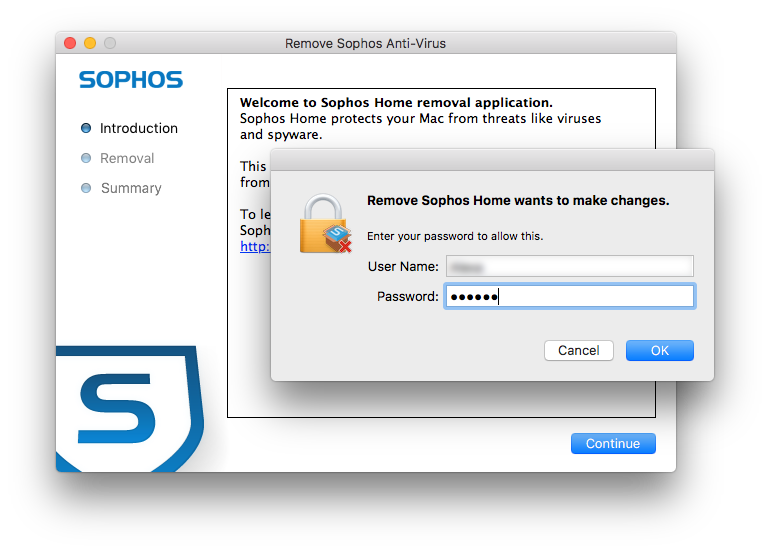 Launch “Remove Sophos Home” and click Continue. You will need to enter your user password. Type the password and click OK.
3. The system will uninstall Sophos Anti-Virus completely on your Mac. If you have deleted Remove Sophos Home.app by mistake or for some reason you can’t find it with Finder, there is one other way to uninstall Sophos Anti-Virus completely or any other application on your Mac. That is by using Sophos uninstall tool App Cleaner & Uninstaller. 1. Launch App Cleaner and find Sophos Anti-Virus among the scanned apps. 2. Select “Sophos Home” and “Remove Sophos Home” with all their service files, and then click “Remove”. The app will be completely uninstalled on your Mac.